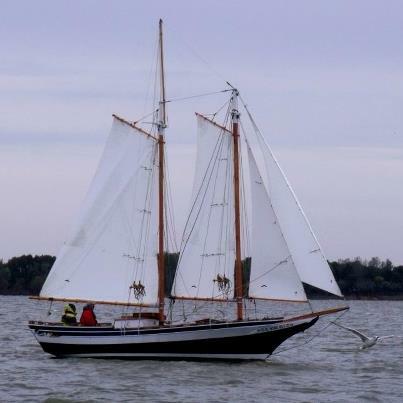 Thursdays Child is a Privateer 26 hull converted to a schooner by removing the fiberglass deck and building a new deck, bowsprit, masts, etc. from wood. 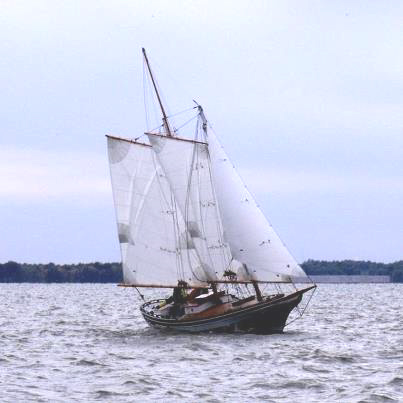 She has been sailed for 2 years on Carlyle lake in southern Illinois. She is on a trailer now. She comes with a full set of 6 custom made dacron sails. The auxiliary is an inboard, 7hp electric drive with 4, 12 volt batteries and an electronic motor controller. The batteries probably need to be replaced, but worked last time she was in the water. The masts are laminated Douglas fir, and the standing rigging is 1/4" galvanized wire, with galvanized turnbuckles. Thursdays Child sails remarkably well and can be easily singlhanded. She easily tacks and can handle rough weather. The hull has over 3000# of ballast. Boom gallows have been added since the photos were taken. 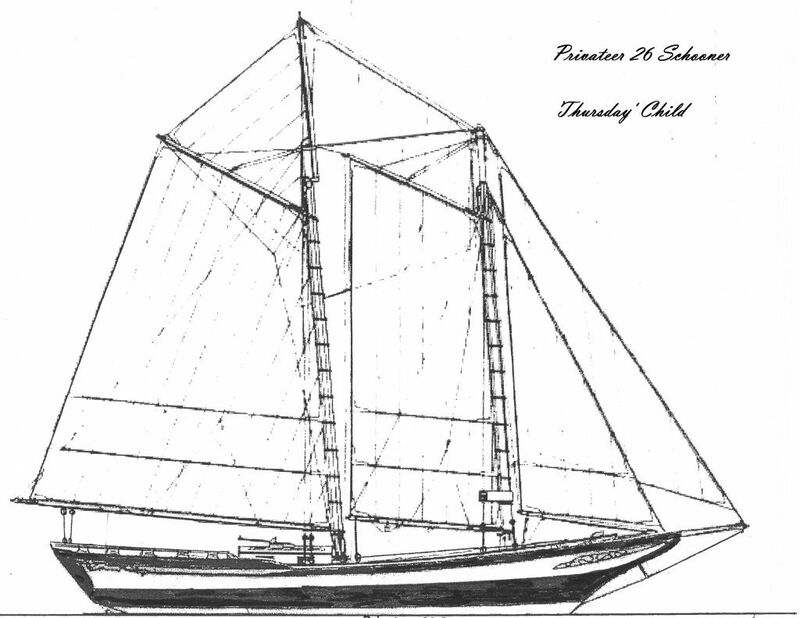 Thursdays Child looks and sails like a real schooner. The maintenance is low because of the fiberglass hull. She easily seats 4 passengers plus 2 crew. Price is $5500.00, plus delivery expenses. Price includes delivery and set up within 250 miles of zip code 62471. More distant delivery could be available for an additional fee. Trailer is not included. YouTube video of Thursdays Child under sail.